The Society for the Advancement of Floral Design (SAFD) will host its annual Tabletop Gala at Shirley Acres, 217 Woerner Road, April 30, 2015 from 5:00 to 10:00 PM. Tablescape viewing starts at 5:00 PM and dinner is served at 6:30 PM. This annual gala will showcase SAFD members and area floral designers with their creation and design of elaborate tablescapes. Please join SAFD and over 200 guests for an exquisite dining experience, raffle, and silent auction. The designers continue to inspire all with their unique presentations. The tables are dressed and adorned to reflect a theme chosen by the designers. Imagination knows no bounds. Each year simply outdoes the previous one and dining at any one of the show tables is a treat not to be missed! 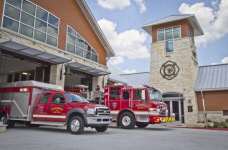 Money raised supports SAFD, a non-profit organization, promoting the study and enjoyment of floral design through community involvement, including educational programs, charitable work, and floral scholarships. Our members range from the floral enthusiast to floral shop owners to Texas Master Florists. Tickets are $50.00 each and are open to the public. Ticket cost includes Dinner, Silent Auction, and Complimentary Valet Parking. Make checks payable to SAFD and mail by April 16th to Sharon Cofran, 5618 Willow Walk Lane, Houston, TX 77069. You can also purchase tickets at our monthly meetings. If you require additional information, call Sharon Cofran at 713-594-1587, or E-Mail SregCofran@Comcast.Net. Monthly meetings are held at the Cypress Creek Christian Community Center (The Forum) located at 6823 Cypresswood Drive. Refreshments are served at 6:30 PM with the meeting to start promptly at 7:00 PM. For further information, please contact Linda Jackson at 832-454-0330 or E-Mail SAFD.Houston@yahoo.com. Visit our website at SAFDHouston.Org. During an emergency, you do not have time to ask questions, and you do whatever is necessary to correct the situation. If you are sick or injured you call an ambulance. If you are robbed or assaulted you call the police. If you have a fire, you naturally call the fire department. As a matter of fact, people call the fire department for many other reasons besides just fires. When there is a crisis, the Ponderosa Fire Department is there for you. There is a saying in the fire service that when people need help for anything they call the fire department. Many people are also curious about the basic background of their community based fire department. The Ponderosa FD is a 75 member primarily volunteer fire department. The paid staff and volunteers are at three fire stations, Ponderosa, Cypressdale, and Northview in a 13 square mile area. The fire chief directs the department's operations in conjunction with five command officers. All volunteers are in constant communications with the Cypress Creek EMS dispatch center via radio pager. Four personnel from a pool of firefighters assist the force and are paid an hourly rate Monday through Friday, and there are fifteen full time personnel 24/7. Our volunteers also staff the headquarters station every night. Currently, HQ and the Northview fire station are staffed with paid personnel. Items accepted at the Household Hazardous Waste facility include, but are not limited to household cleaners, yard/automobile products, pool chemicals, paint and paint related products, batteries, tires, items containing mercury (such as mercury thermometers, Compact Fluorescent Lights (CFLs), and fluorescent tubes), aerosols, and small and BBQ size propane cylinders. The Facility does NOT accept the following items: electronics, traditional recyclables (paper, cans, plastic), any items used for business purposes, medical and biological waste, explosives (including ammunition and firecrackers), compressed gas cylinders, radioactive waste (including smoke detectors), household appliances such as washers, dryers, freezers, air conditioners, heavy trash or household trash. You can go to Earth911.com to find a location where you can properly dispose of these items. CCFCC is pleased to announce the return of its newsletter "Look Upstream". Click on Look Upstream to view the latest issue and other information about the Cypress Creek watershed. The Harris County Animal Control (HCAC) is located at 612 Canino Road, Houston, Texas 77076 (281-999-3191). Found pets are available to be viewed at their site. In addition, the HCAC makes qualified pets available for adoption. Most found pets are without identification. As a minimum, a collar with tag is recommended. Recently the HCAC introduced "Microchip Madness" whereby pets may be microchipped for only $15.00. Once a pet is microchipped, it can be taken almost any veterinarian where the chip can be scanned and the owner located. Contact the HCAC for more details. Helpful information about the procedures for dealing with dangerous dogs is on the site.